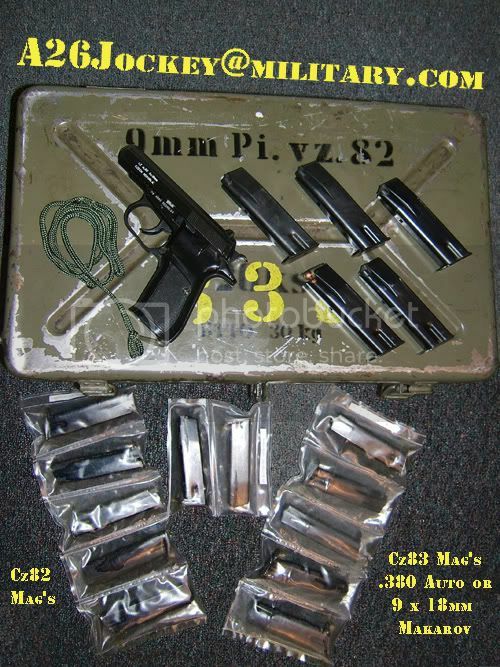 [ARCHIVED THREAD] - Unissued CZ82 & CZ83 Mags 9 x 18 Makarov & .380 Auto $19.50 ea. Very Few Left! 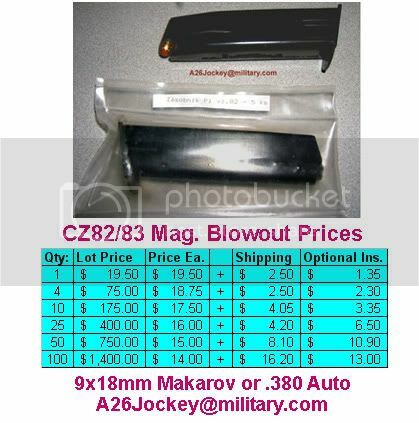 Down to the last 10 Mags...8 Mags. Only 8 left.... 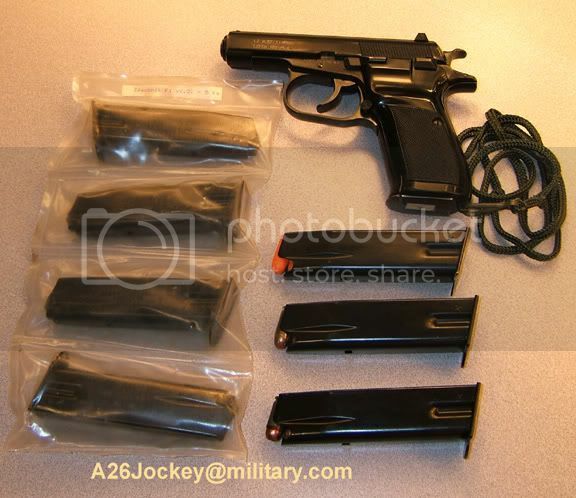 Original Czech Military w/ Proofs, -NEW milsurp.